Beverly Wilshire weddings inspire us to create some great photography. And working with Jonathan Reeves at International Event Company is always a pleasure because he does such lovely events, and is a true professional. 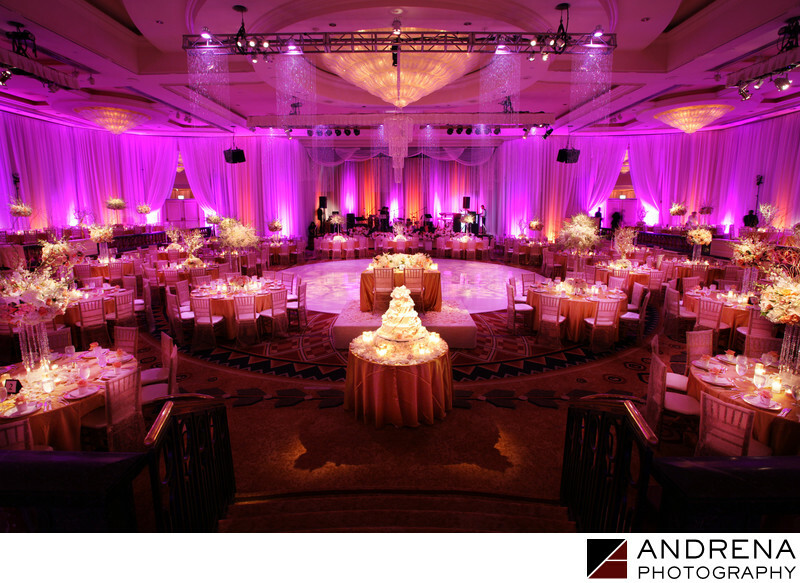 For this reception, Jonathan and his team created a world of white and purple, with gold and peach accents. The round white dance floor added beauty to the room, as did the panels of crystals draped from the ceiling. Rounding out the room's elegance was fully draping around the perimeter of the ballroom. Flowers by Butterfly Florals.